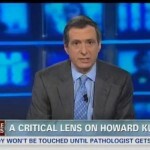 Should Howard Kurtz be fired? You are here: Home » TV News = Entertainment » Should Kurtz Be Fired? 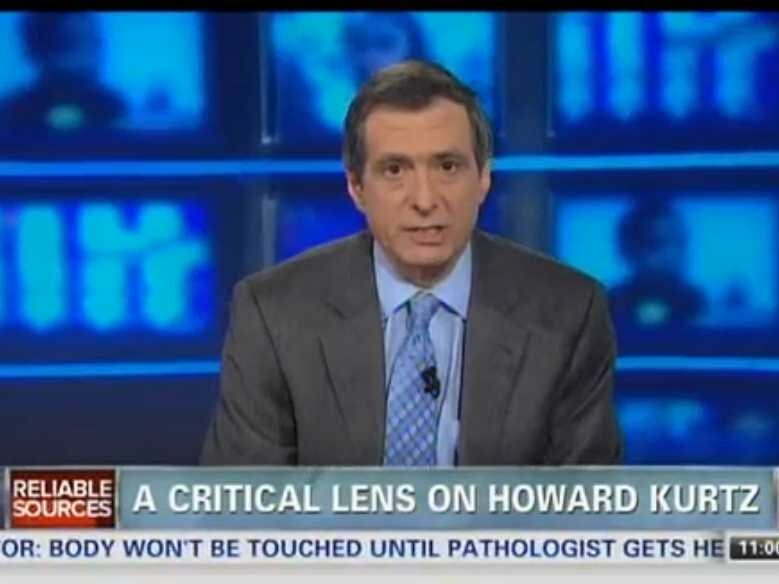 Howard Kurtz spent Sunday on his CNN show Reliable Sources scrutinizing the biggest story in the news media this week – Howard Kurtz. Kurtz wrongly claimed that Collins was “playing both sides of the fence” since he had been engaged to a woman but never mentioned it. But Collins had indeed mentioned it in the piece. Kurtz admits he read the piece too quickly and missed it. And he apologized. He also apologized for being snarky about the mistake and being insensitive to Collins situation. Daily Beast fired Kurtz. So far, he remains on CNN as the host of Reliable Sources. Kurtz had to endure an on-air apology and uncomfortable grilling by two other media critics about the incident, his past mistakes, and why he shouldn’t be fired. Then he had to host the rest of the show. Give Kurtz credit for undergoing what appeared to be an odd public penance. Maybe we should do this with every cable news anchor or reporter that screws up? Oh wait, there would be no news coverage. However, Kurtz should be fired. Look at what a TV station in North Dakota did to one of its anchors, A.J. 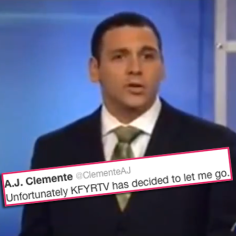 Clemente, when he inadvertently cursed on air seeing footage of a fatal ATV crash. He was canned. Sure, it was an honest mistake. But every broadcaster knows when you’re near a microphone you always assume the mike is hot. You also never use any four-letter word near a news set. Kurtz knows better too. He analyses and criticizes other members of the media for the same things he did. So he should go too. Is Kurtz more important than Clemente? No. Isn’t Clemente more innocent in that he was offering a genuine reaction? Yes. Still, I have sympathy for Kurtz. Kurtz, it seems, is too busy. He works for CNN, the Daily Beast, and Daily Download. In our new media age with lower pay and the need for more content, journalists are forced to do more. When that is the case, more errors happen. Kurtz also fell victim to the entertainment bias. He appeared way too snarky in his piece about Collins. If only we could hold our elected officials to such standards.